John D. Wilkerson is co-author of Congress and the Politics of Problem Solving (2013). 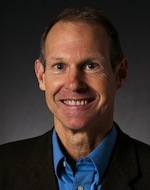 Wilkerson is the Director of the Center for American Politics and Public Policy at the University of Washington. He is a principal investigator of the Congressional Bills Project, the Policy Agendas Project and the Comparative Agendas Project. His research has been published by leading scholarly journals including the American Political Science Review, American Journal of Political Science, Journal of Politics and Legislative Studies Quarterly. He teaches American politics and created the award-winning online congressional simulation, LegSim.